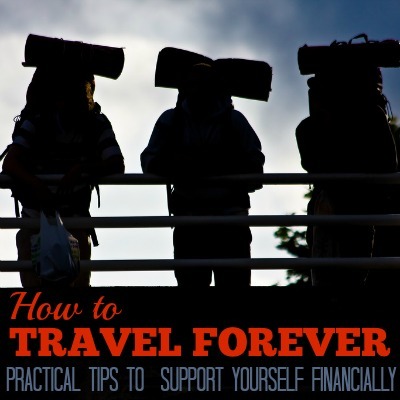 If you want to travel full time, then it’s almost a given that you’re worried about the whole money situation. There are many articles online about just quitting work and taking off and letting The Universe work everything out. Yes, there’s nothing wrong with being a free spirit and living in the moment. And yes, things do work out for many travelers. But my anxious brain wouldn’t let me just up and go like that. And I know many people share my money worries. After all, there are also stories out there about travelers who, for one reason or another, run out of money. At that point, Murphy’s Law can easily take over. I do take risks in my life, yes, but not to that extent. If I let go of all my income sources, I need to know that I can replace them with something that will at least cover all my basic expenses. If you have no income at all, obviously at some point your money will run out, and who knows what kind of trouble you can get into in that situation? No matter how much money you have saved, the fact that you have no income means that you have a deadline. When you reach this deadline, you probably have to go back home. 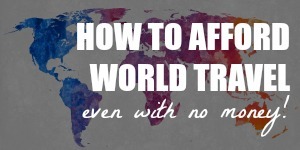 That’s fine if all you want is to have one awesome round-the-world trip. 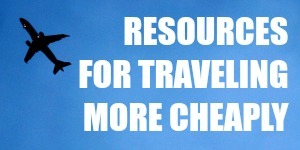 But if you want to continue wandering for as long as you want, you need to find some way of making money as you travel. Because you’re reading this, I can safely assume that you understand English. For English-speaking travelers, teaching the language is probably the most common way to earn money. There are many options for an English teacher when it comes to countries, cities, types of institution, etc. The variety means that you’ll probably be able to find work even if you don’t have any teaching experience or qualification — if you’re not fussy. Obviously, the more qualified you are, the easier it will be for you to find employment. Some schools provide accommodation and transport, eliminating a big chunk of your basic expenses. On top of this, the pay can be pretty good. There are English teachers out there who manage to pay off their student loans within a few years or build up an impressive amount of savings. If you’re interested, Dave’s ESL Cafe is a good place to start your research. (But don’t stop there — country-specific expat forums and blogs often have more detailed information.) The amount of information available online means that you can secure a job before you travel, as long as you conduct your due diligence. Depending on your nationality, you may also be able to find information about teaching English abroad on a government website. For example, Canada has published online guides on teaching English in Taiwan, Japan and Korea. If you travel alone, working as an au pair could be a good option. As an au pair, you’ll be living with a host family and taking care of their children. You’ll get free food and a free bed. Some host families will also provide you with perks like bus cards or a cell phone subscription. Practically all your basic needs will be covered by the host family. On top of this, you’ll earn some pocket money. Working conditions vary depending on your negotiations with the host family, so work out the details beforehand. To find out more about working as an au pair, check out this group interview with five au pairs or this (more in-depth) interview with an au pair who has years of experience on the job. Many full-time travelers take on seasonal jobs in hospitality, retail and tourism. If you go this route, you may have to wait until you reach your destination to start looking for work. Bars, restaurants and retail stores usually won’t hire employees without conducting face-to-face interviews. To get these jobs, you’ll have to scour job ads online or in newspapers. It also helps to make friends and ask around. If your basic needs are met, do you really need money? In a work exchange arrangement, you typically won’t get any money, but you’ll get free food and accommodation. Because no cash changes hands, people also call this “volunteering”. That term makes me think of charities though, so I prefer “work exchange”. The most popular work exchange websites: HelpX and WorkAway. 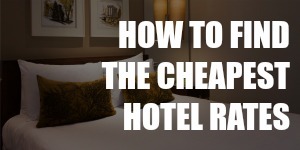 It makes sense that businesses that see poor travelers come and go all the time would eventually strike some sort of a deal with them. Hostels and family-run guesthouses often have unpaid, temporary positions for travelers. On top of HelpX and WorkAway, you can also find farm placements through the World Wide Opportunities on Organic Farms (WWOOF). To get a gig, you have to register with the local WWOOF branch, for example WWOOF Latin America. You can find other local WWOOF branches through the main WWOOF website. Even if you have no sailing experience, you may be able to find an unpaid position on a ship. You’ll probably be doing basic tasks like cleaning and cooking. In exchange, you’ll get to travel by sea for free. Be prepared to work hard. There’s a lot of competition for these positions and the boat owners are taking a risk by allowing strangers on board. Remember that you’re essentially asking to hitchhike on someone’s ship, getting all kinds of freebies, so make yourself useful. You may be required to pay to join a voyage. This should be a small fee ranging from $10 to $40 per day. Once you’ve acquired some experience, it will be easier for you to find paid work as a crew member. (If you’re lucky, it is possible to land a paid gig even without experience.) Depending on your skills, there may be a professional position on board you can fill — as an entertainer, doctor, PR specialist or cook, for example. Where you can find these jobs: Crewseekers, Crewbay and Find a Crew. You can also do it the old-fashioned way by going to the port and talking to people. If you can’t find a job (or you just prefer being your own boss), then create your own job. Just think about what skills you have and how you can market them. Go as small or as big as you want. Some examples: Amanda translated restaurant menus in Indonesia; Agness and Cez built websites for Thai small business owners; and Ryan built a travel consulting business. If you work online, then you can technically go anywhere you want as long as you have Internet connection. Imagine the freedom! Another great thing about working online is you can start building your income streams before you leave home to travel full time. Think about how you can sell your skills online. You can freelance as a writer, graphic designer, programmer or virtual assistant. My accountant does a lot of his consulting work over Skype and there’s even a woman who does bra-fitting over Skype! Think outside the box. Ah, this is the dream, right? You can go anywhere and do anything without worrying about work. Passive income is rarely completely passive, though, so you may still need Internet access to monitor your earnings. Some common sources of passive income: rental properties, dividend-paying stocks, businesses and websites. Read this post for more details on building passive income. I travel a lot and I tried all kinds of websites to make extra money online.